Meat Tray : Beefstros's Famous Italian Beef, Tasty slow cooked Ham, Smoked Turkey Breast, Corned Beef. Cheese Tray: Pepper Jack, Cheddar, Provolone, American. 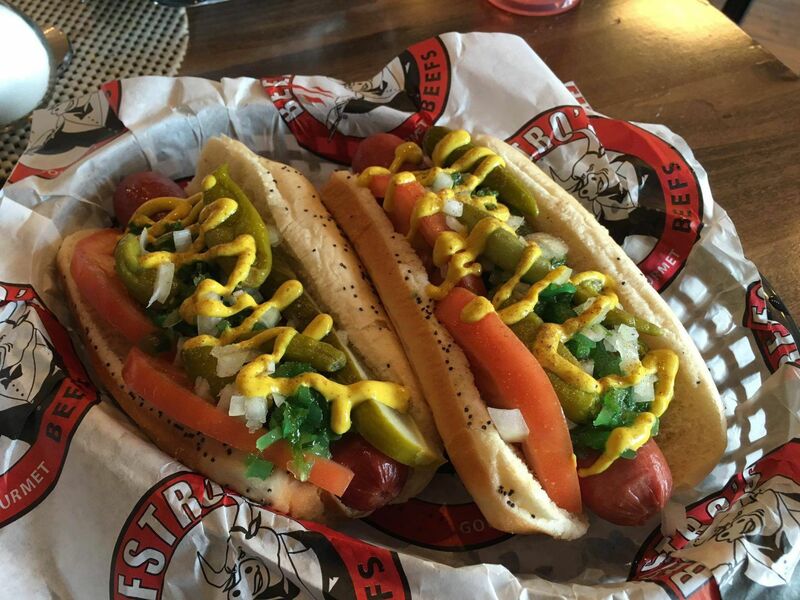 10-BEEFSTRO'S CHICAGO BULL DAWG 10 jumbo Vienna Beef hot dogs served on a poppy seed bun. 10-BEEFSTRO'S FAMOUS ITALIAN BEEF SANDWICHES roasted black angus beef on a Gonnella Italian loaf bread. Toppings: Hot & sweet peppers, containers of dipping sauce. 10- ITALIAN SAUSAGE or POLISH SAUSAGE sandwiches served on a Gonnella Italian loaf bread.